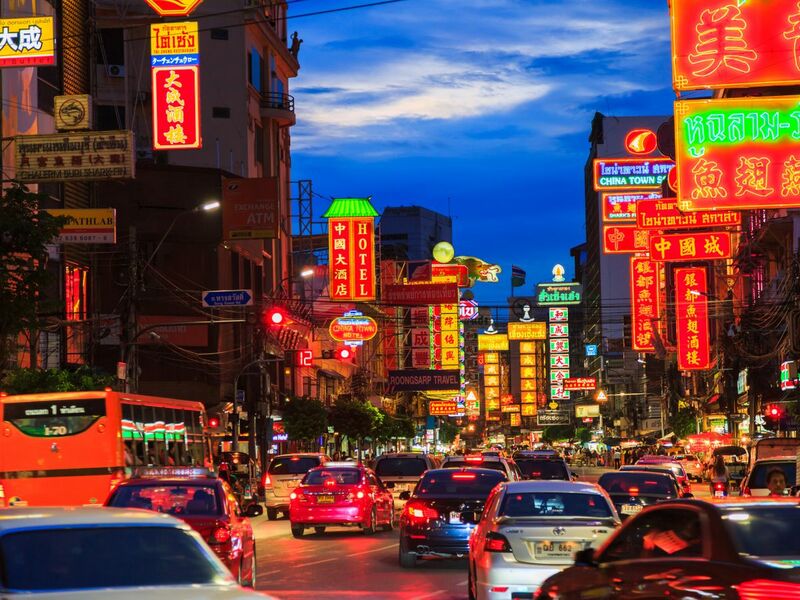 Thai and Chinese cultures are intertwined and there's no better place than Yaowarat or Bangkok Chinatown to experience it... especially with your taste buds! Let our Local Expert show you where the delicious hidden treasures are. Take a Tuk-Tuk ride to our dinner destinations. All are food stalls and restaurants that you can't miss when in Bangkok Chinatown. Enjoy Chinese/Thai food and dessert. End of trip, feel free to stay longer if you wish to do so. Our tour guide,Chu,was lovely. We were shown lots of interesting places to eat in Bangkok Chinatown. We tried just a few dishes, a duck noodle and a chilled bird nest ice dessert as well as some typical Street food. Chu took us to see the Thai River Festival that happens once a year. Lots of celebration going on with lots of food on offer. Would recommend this tour and with Chu.